Timothy Corrigan, 61, had a successful career in advertising, but what had been an evening hobby for him gradually turned into a full-time career. 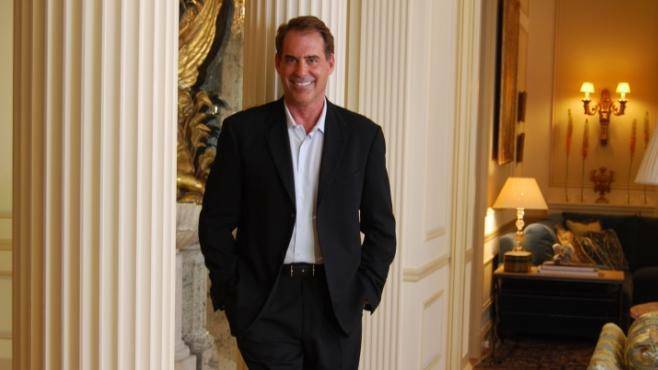 He opened his interior design studio, Timothy Corrigan Inc, in 1997 and now has offices in Paris and Los Angeles. His design philosophy fuses European elegance with Californian comfort, featuring richly layered spaces that are interesting and inviting. At present he is transforming a Royal British Navy battleship into one of the world’s largest private yachts. Corrigan also designed a recent collection for Samuel and Sons’ called Chevallerie, inspired by the ornamentation of his 18th-century Château de la Chevallerie home in the Loire Valley, France. Chintz. Modernist rooms are designed to look good without the paraphernalia of daily life. A more classically designed room is a much more accommodating room in which to live. What is your design essential? Comfort. There’s an unconscious element about comfort that is found when you use materials in your home in which you don’t have to worry about leaving stains and marks. Your favourite interior design “quick-fix”? 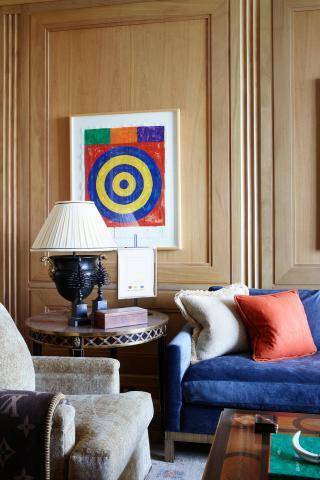 Move art and furniture around in a room — within an hour you will feel as if you have new things. Your prediction for the next big interior design trend? A return to more classical design: soft, pretty colours and florals. And layering is back, big time. The design pitfall to avoid? Following trends too closely. I hate walking into a house that immediately tells you what year it was decorated. If you could live in anyone’s house whose would it be and why? The late Hubert de Givenchy’s place in Paris was my idea of heaven: tall French doors that bathed the beautifully panelled rooms with sunlight. When decorating what do you splurge on? What would you save on? New furniture. Buying reproductions at auction is a better investment. The best piece of design advice you have ever received? Develop a good furniture plan. If you don’t get the basics right, it’s like putting lipstick on a pig. The study. 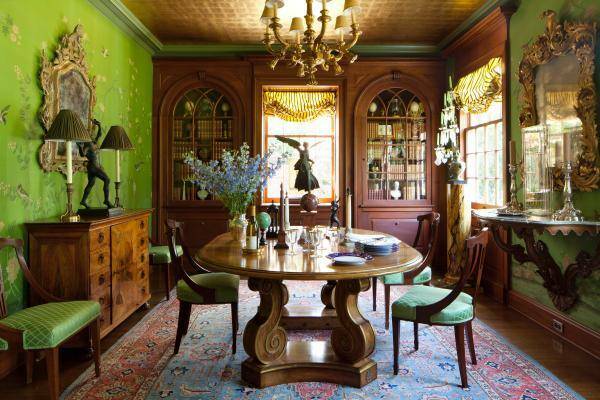 It has the most amazing Empire period panelling with doors leading to the gardens.